During the week of October 19 Steidl will take over the Strand Book Store to present new books, stage talks and book signings. 7:00 PM — Talk: Peter W. Kunhardt, Jr., Executive Director of The Gordon Parks Foundation, will speak about the pertinence of Gordon Parks’ work today, and the making of several Gordon Parks books with Steidl. 7:00 PM — Talk: Ken Schles and Andrew Savulich will be in conversation with Hank O‘Neal, New York City-based entertainment producer, author and photographer. Mr. O’Neal has produced eight books with Steidl, all in connection with the work of Berenice Abbott. This discussion will be about New York street photography and the multiple facets of the city. Founded by Gerhard Steidl and based in Göttingen, Germany, STEIDL is one of the world’s leading publishers and printers of books on photography and art. The imprint‘s roster includes Robert Frank, Bruce Davidson, Berenice Abbott, Ed Ruscha, William Eggleston and Karl Lagerfeld, among many others. Gerhard Steidl began working as a designer and printer in 1967 and started his own photo book program in 1996. 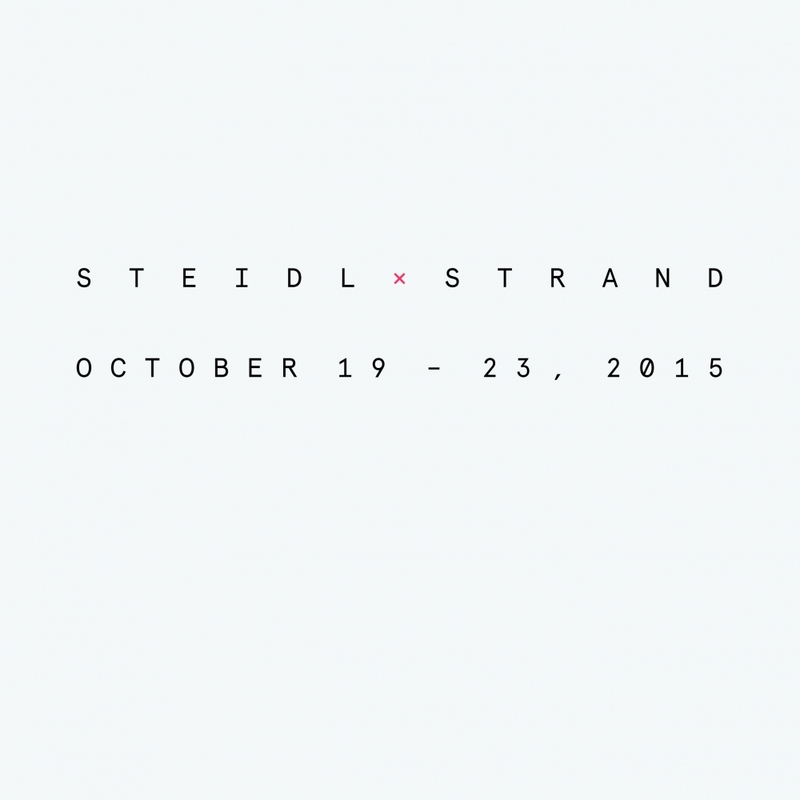 Today, some of the world’s most renowned photographers and artists are part of the STEIDL program. What began as a small enterprise has evolved into one of the finest and most distinguished printing and publishing companies. The STEIDL program is unique in that all titles are designed and printed under the same roof; Gerhard Steidl himself oversees every step of the production, from layout to printing. Strand Book Store was born in 1927 by Ben Bass at the age of twenty-five when he sought to create a place where books would be loved, and book lovers could congregate. He named the Strand after the London Street where avant-garde writers like Thackeray, Dickens, and Mill once gathered and interesting book publishers thrived. Eighty-eight years and 18 miles of books later, the Strand is still run by the Bass family and is home to four floors of over 2.5 million used, new, and rare books, a wide array of bookish gifts and goods, and fun literary events held almost every night of the week. TO RSVP: Please head to www.strandbooks.com/events and click on the Steidl X Strand event you’d like to attend. Depending on event, you may need to purchase a ticket in order to attend. Any questions? Please contact Strand’s Events team at events@strandbooks.com or call 212-473-1452 ext. 380.